The 12th Human Rights Watch International Film Festival offers a powerful line-up of films that challenge and inform our world view. Opening on 12 March with Marjane Satrapi’s charming and bold Persepolis the festival continues for 10 days with 25 films which explore a variety of global issues from 19 different countries. Whether it’s the untold story of US female soldiers in direct ground combat in Iraq in Lioness, Ariel Dorfman looking back to Pinochet’s bloody coup in Chile in A Promise to the Dead, American artist Steve Kurtz facing 20 years in prison for having test tubes in his apartment in Strange Culture; or the extraordinary interviews with 14 survivors of Hiroshima and Nagasaki in White Light/Black Rain, this year’s festival covers a lot of ground. "Universal bubbles theory" by Peter Woodford 14/2/2008. Takes in many other theorists explanations of the universe. Allow for a simplification of ideas. Merge other concepts into one. When a single bubble is created a single bubble exists. If a single bubble has been created it is likely that other bubbles are also created. When many bubbles are created, they stick together like a foamy mass. 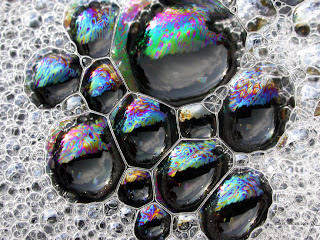 This is the universal bubbles theory, with each bubble representing a single universe in a foamy mass of multiverse. When traveling to the outer regions of a universe the observer would continue to go around the edge of the universe. Universes are ‘rubbing shoulders’ next to each other. The energy fields in one universe affect energy fields in another universe. The multiverse is connected with a membrane that wraps around all in the "bubble cluster". Gravitational fields caused by black holes cause the creation of dark matter in universes ‘rubbing shoulders’ next to each other after matter passes the event horizon.